We invite you to submit a paper/abstract to The 2nd International Conference on Design and Modeling in Science, Education, and Technology: DeMset 2012, to be held in the context of The 3rd International Multi-Conference on Complexity, Informatics and Cybernetics: IMCIC 2012, on March 25th - 28th, 2012, in Orlando, Florida, USA. The submissions deadline is December 1st, 2011. The submission deadline for the three collocated conferences is Oct. 26th, 2011. 13th International Conference on Intelligent Text Processing and Computational Linguistics will be held on March 11–17, 2012 in New Delhi, India. At the Conference page you can find a great deal of pictures made during the Conference. We wish to thank the conference participants and members of organizing committee for providing photographs. The workshop will be held on June 12-13, 2011 in St. Petersburg, Russia, as a satellite event of 6th International Computer Science Symposium in Russia(CSR-2011). The Second Workshop on Program Semantics, Specification and Verification: Theory and Applications (PSSV 2011,) will tbe held on June 12-13, 2011 in St. Petersburg, Russia, as a satellite event of 6th International Computer Science Symposium in Russia (CSR-2011, June 14-18, 2011). 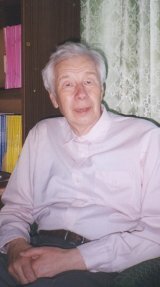 The International Conference “Modern Problems of Mathematics, Informatics, and Bioinformatics”, dedicated to the 100th anniversary of the Corresponding Member of the Academy of Sciences of the USSR Alexey Andreevich Lyapunov will be held on October 11–14, 2011. Two institutions, A.P. Ershov Institute of Informatics Systems and the Laboratory of Informatics and Algorithmics: Foundation and Applications, University Paris-7, agree to establish a partnership for academic and educational exchanges. Cooperation in academic and educational research. Exchange of faculty and students for lecturing, studies and research. Exchange of theses, teaching materials and other scientific and academic literature. During the Eighth International Andrei Ershov Memorial Conference "Perspectives of system informatics" the section "Educational Informatics" will take place. You can view the section agenda and other details at the conference web site. During the Eighth International Andrei Ershov Memorial Conference "Perspectives of system informatics" the workshop "Science Intensive Applied Software" will take place. You can view the workshop agenda and other details at the conference web site. During the Eighth International Andrei Ershov Memorial Conference "PERSPECTIVES OF SYSTEM INFORMATICS" the workshop "Program Understanding" will take place. You can view the workshop agenda and other details at the conference web site. On the occasion of the 60th Anniversary of Bertran Meyer, it is both a pleasure and an honour for us to express our congratulations and good wishes. In order to promote friendship, mutual between understanding and economic exchange between our two countries, and in order to promote exchange of scientific ideas, of scientific expertise, of scientists and of students between our two institutions, A.P. Ershov Institute of Informatics System and the Department of Mathematics, University Siegen agree to establish a partnership for academic and educational exchanges. The 36th International Conference on Acoustics, Speech and Signal Processing will take place at the Prague Congress Centre (PCC), May 22-27, 2011. The 8th Andrei Ershov International Conference «PERSPECTIVES OF SYSTEM INFORMATICS» will be held on 27 June - 1 July, 2011, in Akademgorodok (Novosibirsk, Russia). PSI'2011 Call for Papers is available in the official conference site. One-day workshop Knowledge and Ontology *ELSEWHERE* (*ELSEWHERE*2009) will take place between Saturday, July 25, and Saturday, August 1, 2009 in affiliation with 17th International Conference on Conceptual Structures (ICCS'09), Moscow, Russia. It will be the second edition of the workshop. The first inaugural workshop took place October 03, 2008 in affiliation with 11th Russian National Conference on Artificial Intelligence (CAI-08) in Dubna near Moscow. This year the workshop will be open for international participation. Talks and papers in English are welcome! Twenty years ago academician Andrey Ershov passed away. In memory of this date we found memoirs by Dave Shields (IBM's Systems & Technology Group) who visited Academgorodok in 1973 and 1976 and met Andrei Ershov. The memoirs were written in 2006. 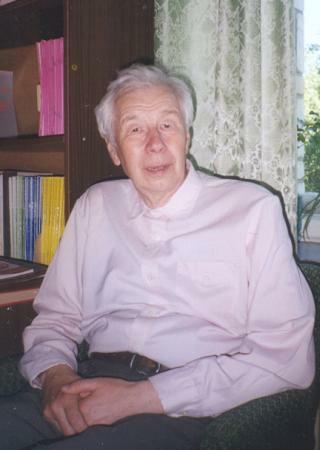 July 23, 2008, is the day of 70th anniversary of Vadim Kotov, a corresponding member of the Russian Academy of Sciences, the leader of the Provisional Scientific and Research Group "START", the organizer and first director of the A.P. Ershov Institute of Informatics Systems of the Siberian Branch of RAS. The IIS team congratulates Vadim Evguenievich on this great date. To celebrate the date we selected some interesting documents from A.P. Ershov Archive and the IIS SB RAS Archive: photographs, letters, office memorandums, articles in Russian and foreign papers that represent main milestones of Vadim Kotov's scientific and administrative career. Russian Workshop with International Participation "Knowledge and Ontology *ELSEWHERE*" affiliated with 11th Russian Conference on Artificial Intelligence (CAI-08) and a number of affiliated workshops will be held from September 29 to October 3, 2008 in Dubna (near Moscow). The conference is open for international participation (talks and papers in English are welcome). Papers submission deadline - July 05, 2008. 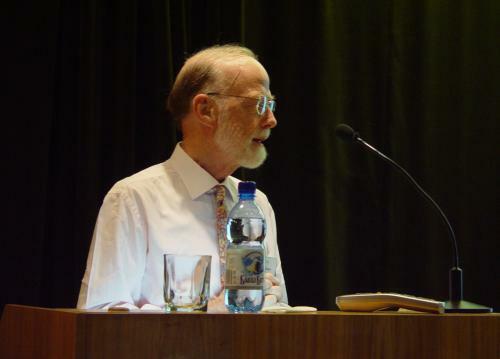 Prof. Niklaus Wirth (ETH, Zurich, Switzerland), prominent scientist, the author of programming language Pascal, Modula, Oberon is 74 On February, 15th. Friends and colleagues from the Ershov Institute of System Informatics congratulate prof. Wirth and wish him robust health and long years of scientific and educational activity. Prof. Wirth several times visited our insitute, was a participant of Memorial Ershov conferences. In A.P. Ershov Archive there are many documents associated with the name of Niklaus Wirth. The Seventh International Andrei Ershov Memorial Conference «PERSPECTIVES OF SYSTEM INFORMATICS» will be held on June 15-19, 2009, in Akademgorodok (Novosibirsk, Russia). On October, 4th Prof.Dines Bjørner (Institute of Informatics and Mathematical Modelling, Kgs.Lyngby, Denmark), celebrated his 70th anniversary. Dines Bjørner is known as a prominent computer scientist who earned the world-wide reputation as a specialist in formal methods of software engineering and one of the authors of the famous Vienna Development Method for computer-based systems. Friends and followers from the Ershov Institute of System Informatics sincerely wish Dines Bjørner good health and well-being and look forward to see him again in Academgorodok. Dines Bjørner's friendship with late Acad. 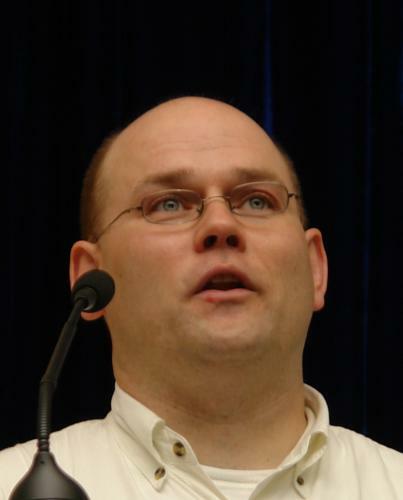 Andrei Ershov was fruitful for international computer science community. There are a lot of documents in A.P. Ershov Archive associated with the name of Professor. December, 8 is the Memory day of academician Andrei Ershov. To this date we publish the speech of Cornelis H.A. Koster, University of Nijmegen, The Netherlands, at the memorial session of the Sixth International Andrei Ershov Memorial Conference PERSPECTIVES OF SYSTEM INFORMATICS that was held to honour the 75th Anniversary of academician Andrei Ershov (1931-1988). Sixth International Andrei Ershov Memorial Conference PERSPECTIVES OF SYSTEM INFORMATICS (PSI'06) was opened today in Akademgorodok, Novosibirsk. The conference started with tutorial "Agile Software Development: Methodologies, Techniques, and Current Adoption Rates" by Scott Ambler (Ambysoft Inc., Toronto, Canada). Professor Tony Hoare sent his congratulations to Alexander Marchuk, the Conference Chair, and all PSI'2006 participants. The Program of the Sixth International Andrei Ershov Memorial Conference "PERSPECTIVES OF SYSTEM INFORMATICS" is available now. PSI'06 Travelling and Registration Guide may be useful for the Conference participants. The Preliminary Program of the Sixth International Andrei Ershov Memorial Conference "PERSPECTIVES OF SYSTEM INFORMATICS" is available now. 2007 ACS/IEEE INTERNATIONAL CONFERENCE ON COMPUTER SYSTEMS AND APPLICATIONS (AICCSA'2007) is held in Amman, Jordan, May 13-16, 2007. We invite our colleagues to participate in the conference. We would like to inform all colleagues that, due to increased demand, Program Understanding'06 workshop submission deadline has been extended until 28th April, 2006. 28 April 2006 a symposium will be held in honour of prof. Boaz TRAKHTENBROT's 85th birthday. The symposium will take part at Tel Aviv University, Israel. The list of accepted papers for the Sixth International Andrei Ershov Memorial Conference "PERSPECTIVES OF SYSTEM INFORMATICS" is available now. We are pleased to inform that the notification time of paper acceptance is by 23:59 PST, Friday, April 7. The Institute of Informatics Systems regrets to announce that on February 4, 2006, after a long illness, Prof. Alexandre Zamulin died at age 62. He held the positions of the Chief Researcher of the IIS System Programming Laboratory, and the Head of the Informatics Systems Chair at the Novosibirsk State University. During the Sixth International Andrei Ershov Memorial Conference "PERSPECTIVES OF SYSTEM INFORMATICS" the workshop "Science Intensive Applied Software" will take place. You can view the workshop agenda and other details at the conference web site. 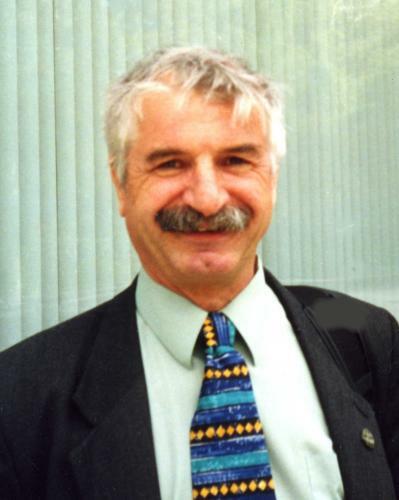 Submission deadline of extended abstracts for Sixth International Andrei Ershov Memorial Conference "PERSPECTIVES OF SYSTEM INFORMATICS" is February 7, 2006. During the Sixth International Andrei Ershov Memorial Conference "PERSPECTIVES OF SYSTEM INFORMATICS" the section "Educational Informatics" will take place. You can view the section agenda and other details at the conference web site. The Sixth International Andrei Ershov Memorial Conference "PERSPECTIVES OF SYSTEM INFORMATICS" will be held on June 27-30, 2006, in Akademgorodok (Novosibirsk, Russia). The conference is held to honor the 75th anniversary of academician Andrei Ershov (1931-1988) and his outstanding contributions to the advance of informatics. A.P.Ershov Summer Programming School (SPS) was held in July, 13-27 by the Institute of Informatics Systems and Novosibirsk State University. It is regularly held to increase the interest of the young to in-depth study of informatics, forming of modern programming skills and advanced techniques of working in IT. This year the School celebrated its 30th Anniversary. The seminars took place at a beautiful location at the mouth of the Berd river. This time, the school hosted over 80 young programmers. Prominent scientists of Akademgorodok gave their lecturers on informatics, mathematics and bioinformatics. On April, 1st 2005 our institute celebrates its 15th Birthday. On this day, it has also been 20 years since the foundation of the START temporary research group. One of the results of START activities was foundation of the Institute of Informatics Systems. Celebrations commemorated to this date are held in the Institute. are jointly organizing the Fifteenth International Conference on Computer Graphics and Applications Graphicon'2005. The conference will be held in Novosibirsk Akademgorodok, June 20-24, 2005. The event is organized in cooperation with Eurographics Association and ACM SIGGRAPH. Our congratulations to Georgy Georgievitch Stepanov for presentation him of the government award - the Order of Friendship. On December,23, 1928, 75 years ago, the oldest research fellow of Institute of Informatics Systems, Alexander Rar, was born. There was a celebration of the jubilee in the institute. 2nd International Workshop on .NET Technologies is to be held at University of West Bohemia, Campus-Bory Plzen (very close to Prague, the capital of the Czech Republic), May 31 - June 2, 2004. See details at http://dotnet.zcu.cz/. At the Conference page you can find a great deal of pictures made during the Conference. We wish to thank the conference participants and members of organizing committee Mikhail Bulyonkov, Robert Glück, Engelbert Hubbers, Sergey Zelenov, Yusuke Ichikawa, Sergey Mylnikov, Vladimir Philippov and Alexander Chernov for providing photographs. Summer School of Young Programmers (SYP) is taking place in Akademgorodok, Russia, 10-20 August 2003. More than 60 pupils from schools of Novosibirsk and Kemerovo regions, Altay region and Mountain Altay Republic will participate in work of the school. Andrei Ershov Fifth International Conference "PERSPECTIVES OF SYSTEM INFORMATICS" has been opened today in Novosibirsk, Akademgorodok, Russia. The conference is held to honor the 70th anniversary of Ershov's closest colleague, the late professor Igor Pottosin (1933-2001). The Programme of Interval Mathematics and Constraint Propagation is available. Preliminary programme of International Workshop on Program Understanding is available. Preliminary programme of Ershov Fifth International Conference is available. You'll find a list of papers accepted for presentation at Ershov Fifth International Conference. On February 21, 70 years ago, the former Director of Institute of Informatics Systems, Igor Vasiljevich Pottosin, was born. I.V.Pottosin Memorial office is opened. Books from his home library, diplomas and souvenirs are stored there. Submission deadline of extended abstracts for Andrei Ershov Fifth International Conference "PERSPECTIVES OF SYSTEM INFORMATICS" is moved to February 16, 2003. Section of Informatics of Education is taking place under the Fifth A.P.Ershov Conference. See Call for papers in Russian, Section of Informatics of Education. The International Workshop on Program Understanding is taking place in Altai Mountains, Russia, 14-16 July 2003. The workshop is a satellite event of the Fifth A.P.Ershov Conference. You'll find a list of invited speakers for the Ershov Fifth International Conference and themes of their talks. Andrei Ershov Fifth International Conference "PERSPECTIVES OF SYSTEM INFORMATICS" is taking place in Novosibirsk, Akademgorodok, Russia, 9-12 July 2003. The conference is held to honor the 70th anniversary of Ershov's closest colleague, the late professor Igor Pottosin (1933-2001). 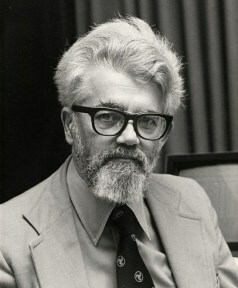 The 4th of September is the 75th anniversary of John McCarthy, professor of the Stanford University, one of the founders of modern computer science. It is hardly possible to enumerate all his achievements in this field. Now, when working with lists, programmers do not even remember that it is McCarthy who has introduced this notion. 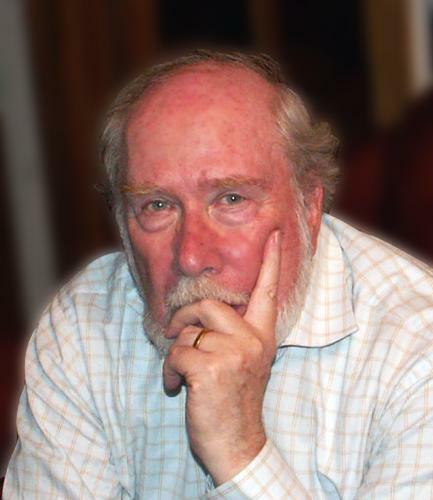 He has designed the Lisp language and took part in the development of Algol 60 and many other languages and software systems. John McCarthy was a friend of A.P. Ershov. He visited Akademgorodok many times and took part in the 2nd All-Union Conference on Programming and other scientific meetings. He delivered lectures at the Novosibirsk State University and was a guest of the Summer school of young programmers. The older staff members of our Institute had a lucky chance to work with him and to feel extraordinary attraction of his personality. 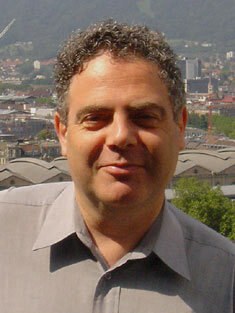 We send Prof. McCarthy our cordial congratulations and the very best wishes. There are a lot of documents associated with the name of John McCarthy in Academician Ershov's Archive. 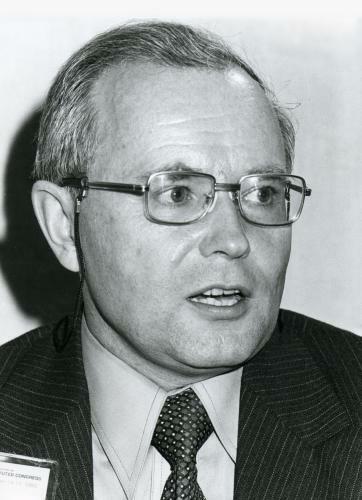 Professor Edsger Wybe Dijkstra, a noted pioneer of computer science, died on 6 August 2002. 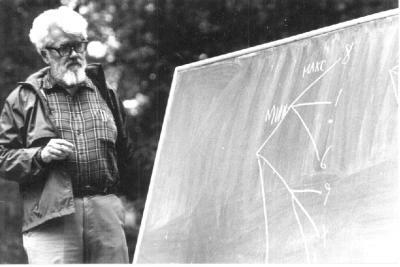 Works of Prof. Dijkstra are widely known in our country. He was a friend of A.P. Ershov and kept scientific contacts with him for a long time. There are a lot of documents related to Prof. Dijkstra in Academician Ershov's archive. Obituary and a complete list of his works can be found here. 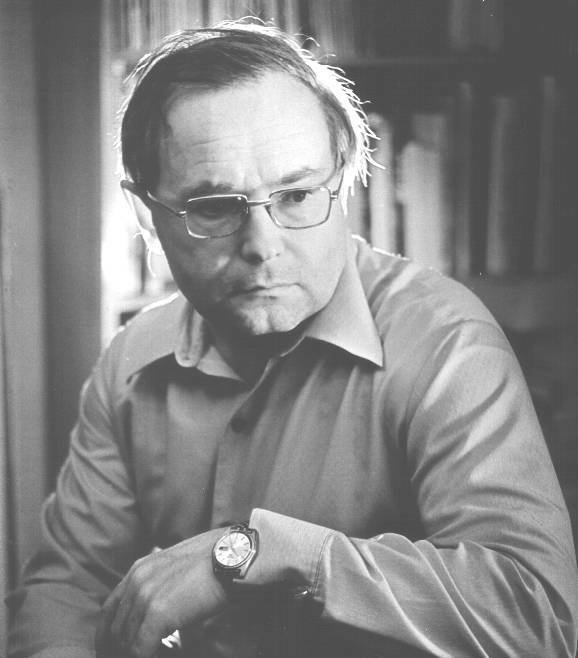 On April 19th, 71 years ago, academician Andrei Ershov (1931-1988) was born. 21 years ago, the 50th anniversary of Ershov's birth was celebrated. Congratulations received on this date are stored in Ershov's archive. These documents are remarkable by the fact that some of them have hand-written comments made by Andrei Petrovich for his mother. A new edition of the book "MODULA-2 LANGUAGE STANDARD" by Alexandr F. Rar is available in Russian. Letters and telegrams with condolences on Igor Pottosin death continue to come to the Institute address. 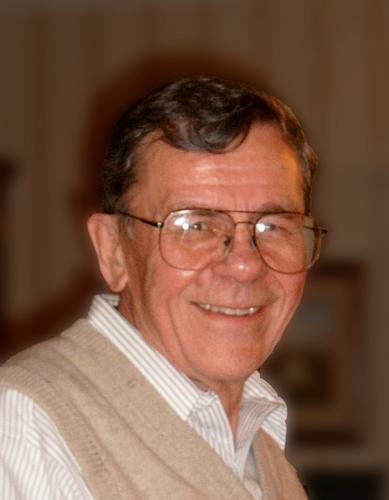 We put them to memorial page of Igor Vasilievich Pottosin. You can find there condolences and some photographs of Igor Pottosin. Professor Alexander Marchuk, well-known Russian scientist, the director of the Ershov Institute of Informatics Systems, doctor of physics and mathematics is celebrating his jubilee on 30 of December. Letters with condolences from many people of all the world came to the Institute last week. We open a memorial page of Igor Vasilievich Pottosin. You can find condolences and some photographs of Igor Pottosin there. 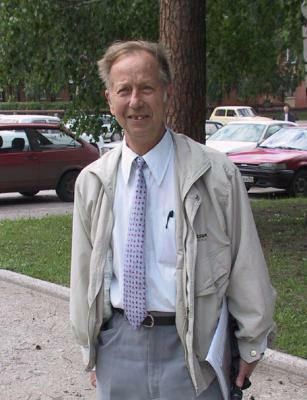 On 15 of December 2001, after brief serious illness the famous russian scientist, the oldest officer of Siberian Branch of Russian academy of Sciences, former director of Ershov Institute of Informatics Systems, honoured worker of sience of Russia, head of department of programming of the Novosibirsk University, Doctor of physics and mathematics, professor Igor Pottosin died. There are a lot of pictures of participants and organizers of the Ershov Fourth International Conference PSI'01 that took place on 2 - 6 July 2001 in Akademgorodok, Novosibirsk, in the Conference website. The preliminary programme of the Ershov Fourth International Conference that is taking place on 2 - 6 July 2001 is published. Let us introduce new graphical design of the Institute web site. Comments and remarks are deeply appreciated. On 19 of April 70 years have passed since birthday of academician Andrey Ershov (1931-1988). Visit official Ershov site for more information about A.P.Ershov. The list of invited speakers and Memorial Session speakers for the Ershov Fourth International Conference and abstracts of their talks are published. The list of papers accepted for presentation at Ershov Fourth International Conference is available. Submission deadline of extended abstracts for Andrei Ershov Fourth International Conference "PERSPECTIVES OF SYSTEM INFORMATICS" that to be held from 3 to 6 July 2001, Novosibirsk, Akademgorodok, Russia, is moved to February 12, 2001.